One person’s trash is another’s…archaeology? Last week, we got to dig through some trash! My group chose two trash bags from Denny Hall, counting and describing all of the contents. 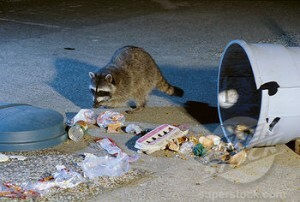 I was particularly struck by the amount of recyclables and compostables in the trash can. Having interned for the UW’s Environmental Stewardship and Sustainability Office (green.washington.edu), I knew that Denny Hall’s waste diversion rates are a particularly special case, because the building was used last year for a pilot program to lower waste miscategorization. Based on our findings, I’m not so sure it worked. See Kirks garbology post for a breakdown of our findings. I think our mini-garbology project highlights this really exciting and socially relevant subfield of archaeology. The UW’s Garbology Program (http://uwgarbology.weebly.com) is one of the emerging leaders in the field. One of the really exciting things about garbology is that instead of borrowing data and methods from other academic fields, garbology actually gives archaeology a chance to actively contribute to the larger academic and social discourse. I can’t count how many times I’ve thought to myself “Yeah, archaeology is fascinating, but so what? It doesn’t matter to society.” But garbology does! Last week, a few classmates and I set out to surreptitiously collect and carefully examine trash deposited by two groups of University of Washington students. Approaching this study, we were immediately confronted with a vexing problem: how could we isolate two distinct populations on a campus of 43,000 students? Answering this question was not easy, but eventually we decided that the best place to search was the trash of academic buildings tailored to a single program of study. The majority of students in these buildings, we reasoned, would share a number of academic and perhaps cultural interests and that these similarities would be visible in their trash. We collected trash from Paccar Hall and the Art Building, home to the Foster Business School and UW’s School of Art, respectively. We selected cans relatively distant from the popular cafes in each building, hoping to collect trash that contained more than the remnants of yesterday’s lunch. Drawing (admittedly) on stereotypes and personal observations of business and art majors, we predicted that trash from Paccar would contain relatively more expensive items and more recyclables than would that from the Art Building. Drawing more than a few quizzical looks, we managed to whisk away a bag of trash from each building. Examining their contents, we quickly discovered that our predictions were not supported. Despite selecting trash cans away from cafes, the bags were mostly filled with food waste. We observed no obvious difference in the price of disposed items or more recyclables in the Paccar trash. Given the miniscule sample size, conclusive interpretations remain elusive; however, we believe that the similarities in trash disposal by (we assume) two different populations reveals UW students’ reliance on university food networks and the relatively homogenous fare they provide. Whatever the differences that exist between business and art majors, it may be masked by these students’ widespread patronage of UW cafes and vending machines. Just as Wall-E was programmed to examine the refuse of a futuristic contaminated and uninhabitable Earth, modern archaeologists study material remains of our current society (garbage) to understand what we consume and dispose of. This study is called Garbology. Our Historical Archaeology class recently engaged in a Garbology investigation on the campus of the University of Washington. Our goal was to gain an understanding of how to derive narratives regarding behavior patterns of the campus population by looking at their trash. Quite simply, we collected the contents of two campus garbage cans, rooted around in it (with gloved hands) and sorted it into various categories. The selected bins were the unsorted type in locations not close to stations where a sorting option is available, but in high traffic areas near the entrances of Thomsom Hall and the Burke Museum. These collection sites were selected because they are used by somewhat different populations. The Thomson Hall site in the heart of the campus, is likely used by students, faculty and staff. The Burke location is more available to the general public, located near the parking area for charter busses bringing museum tour groups. As expected, food and beverage containers and wrappers predominated at both sites. The Burke Museum garbage was notable in that a large percentage of the food consumed in this area apparently was brought on site in bag lunches. In fact, two distinct assemblages were evident. One represented numerous Dicks fast food meals with associated beverage and condiment cups. The second assemblage mostly comprised the remains of sack lunches brought in Ziploc bags with Capri-sun pouches, fruit and snack bars, possibly by school children on a tour. The collection from the Thomson Hall site indicated foods consumed on the go and more piecemeal, as expected. We also found cigarette butts, a spent lighter and a hard cider bottle in this sample. This finding of campus contraband was not completely unexpected. One reason I selected this bin was its proximity to Greig Garden, a semi-secluded grove enclosed behind high vegetation. Sampling strategy design is a critical factor in any analysis.